Former 37th District state legislator Kip Tokuda passed away on Saturday from a heart attack while fishing on Whidbey Island. He was 66 years old. Tokuda, a Beacon Hill native and graduate of Cleveland High School, represented the 37th District (Central/Southeast Seattle) from 1994 to 2002, where he was Chair of the House Children and Family Services Committee. 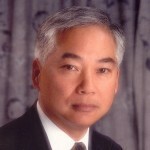 A third-generation Japanese-American, Tokuda was a founder of the Japanese Cultural and Community Center of Washington and the Asian Pacific Islander Community Leadership Foundation. He also served as the Director of the City of Seattle’s Family and Youth Services Division, and was a member of the board of directors of Prevent Child Abuse America. Before his legislative service, Tokuda was appointed by Governor Booth Gardner as the executive director of the Washington Council for Prevention of Child Abuse and Neglect. In 2012, Tokuda was awarded The Order of the Rising Sun by the Emperor of Japan to recognize his contribution to strengthening friendly relations between Japan and the United States, and promoting Japanese culture and the welfare of Japanese-Americans. Roberto Maestas, a founder of Beacon Hill’s El Centro de la Raza who led that non-profit organization until he retired last year, passed away this morning of lung cancer at the age of 72. Mayor McGinn has ordered that city flags be lowered to half-staff today in honor of Maestas. A former Spanish teacher at Franklin High School, Maestas was among the activists involved in the peaceful occupation of the then-empty Beacon Hill Elementary School building on 16th Avenue South in 1972. After three wintery months in the run-down building, the group negotiated an agreement with the City to lease the building for $1 per year, and the El Centro organization has been there ever since. Maestas led the organization as executive director until he stepped down in 2009. The Seattle Civil Rights and Labor History Project at the University of Washington has this page about Maestas, including a biography and several video interviews. Here is a story from last year about the Four Amigos: Maestas, the late Bernie Whitebear, Larry Gossett, and Bob Santos, who as activists and friends worked together to make Seattle a more just place. The Seattle Times (BHB news partners) posted an obituary here. More obits at KIRO TV, Seattle P-I, Seattle Weekly, and The Stranger. Update: Details of a memorial celebration for Mr. Maestas are in the comments. Marguerite Carruthers, day-care mom of perhaps more than one hundred Beacon Hill kids, was killed in a car accident in Kent last week, at the age of 97. From 1950 to 1988, “Mrs. C” ran a day care center in her home near 15th and Snoqualmie. A memorial is to be held at 11:00 am on Friday at St. Stephen the Martyr Catholic Church, 13055 Southeast 192nd Street, Renton. All of Mrs. C’s day care kids are invited. More from the Seattle Times. See also KOMO, where there is a recent picture. Chuck Caddey. Photo courtesy of Willie Weir. On Father’s Day, June 21st, we lost a dear friend. Chuck Caddey died on Sunday, surrounded by his family. Jefferson Park Lawn Bowling Club would not be the thriving, healthy organization it is today without Chuck Caddey. He served as the club’s president from 1999 through 2007. For many of us, Chuck was our first introduction to the club–a warm handshake and a smile. Everyone felt welcome when Chuck was on the greens. When Chuck came on as president, the club was in trouble. Membership had dwindled and many people thought the club was destined to close. But Chuck was determined to introduce a new generation to the sport and place he loved. Every Wednesday night (Fridays later on) Chuck hosted free nights open to the public. One by one he built a new core group. 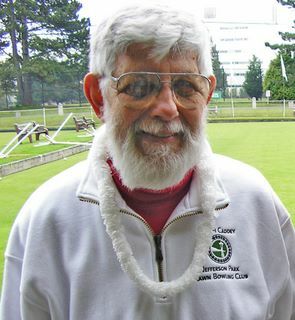 Many of those people (and I am one of them) were drawn first to the spirit and kindness of Chuck, and only later embraced the sport of lawn bowling. Chuck’s joy came from seeing “young people” out on the greens. He had the uncanny ability to teach you to bowl, convince you to join the club and ask if you’d like to be on the board… all in one night. He wasn’t much for competition. He never played in a national championship. But he will always be our champion. July 4th is the Chuck Caddey Independence Day Ice Cream Social & Open Bowling (7pm). Marge (Chuck’s wife) thought that would be the best time for us to honor Chuck’s life. It just so happens that Chuck and Marge met on July 4, 1952. Come on out and celebrate the life of our president, friend, and champion. Craig Thompson brings more sad news via the BAN list: Flinnor “Papa” Kimmons passed away June 9th. Mr. and Mrs. Kimmons were said to be the first African Americans to own a home on North Beacon Hill. Walkable community advocacy organization Feet First is looking for Neighborhood Walking Ambassadors: engaged, passionate community members interested in leading walks through their neighborhoods. Not walked-out and like to take photos? Scott Kelby’s Adobe-sponsored Worldwide Photo Walk coming up on July 18th is a two-hour social event where photographers get together to walk around, shoot photos, and generally have fun with other photographers. Neighbor Amanda Potter has signed up to lead the Beacon Hill Photowalk around Jefferson Park. Email Amanda for details. After all that walking, you’re sure to be hungry. In the recent story about Amazon Fresh deliveries coming to Beacon Hill, the comment thread picked up on the final sentence about pizza delivery. Pagliacci co-owner Matt Galvin addresses the local pizza chain’s distinct absence in Southeast Seattle. Craig Thompson has posted a heartfelt eulogy for Fred Nakagawa, a Beacon Hill neighbor who passed away last week at the age of 88. Fred was a founder of the Beacon Alliance of Neighbors, and as Craig writes, “an advocate for the woods, for seniors, for public safety, for his family and friends, for Japanese Americans, for freedom, for democracy.” Craig’s post is here.